That is today’s lesson! I had to rip back 2″ of my Gramps cardigan because I assumed that where the pattern told me to work for 13″ after separating the sleeves that it meant 13″ from the armhole (which is typical, I think). But it meant 13″ from the cast on. Oh well. 2″ isn’t that bad. 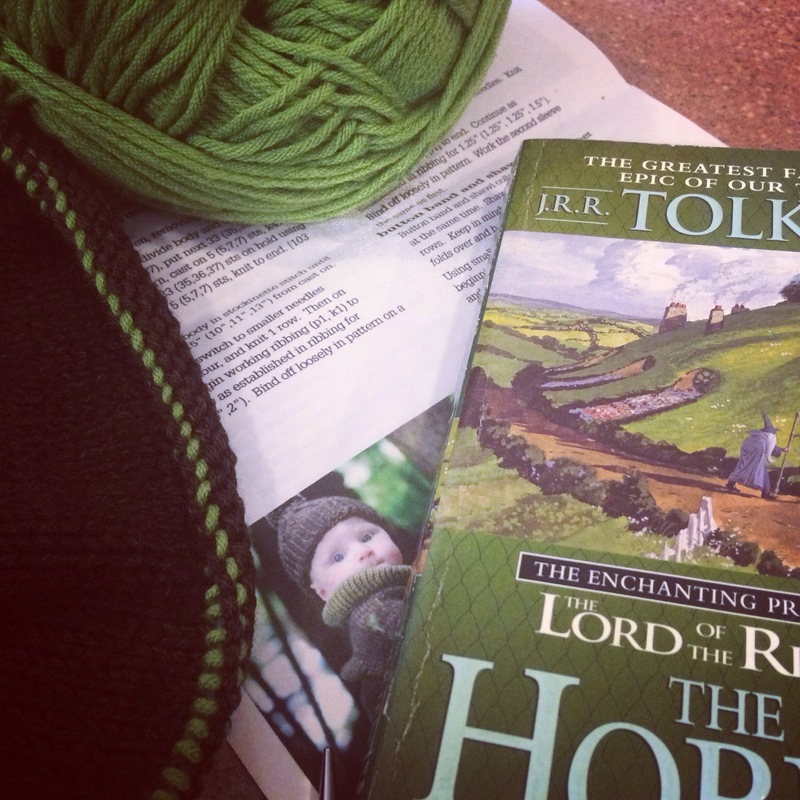 I like how my knitting and reading share the same color scheme.